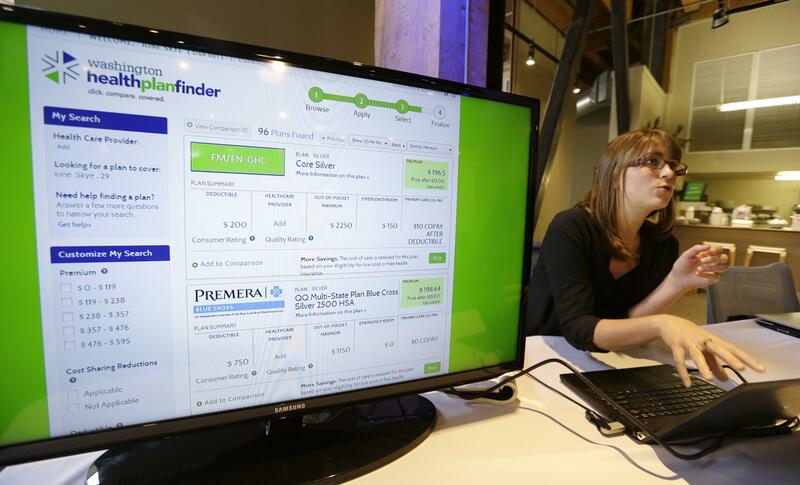 Washington: Average increase of 13.6 percent through Washington’s state-based insurance exchange, WashingtonHealthPlanFinder. Idaho: Average increase of 24 percent through Idaho’s state-based insurance exchange, YourHealthIdaho. OLYMPIA – Health insurance premiums in Washington will climb an average of 13.6 percent next year, state Insurance Commissioner Mike Kreidler said Wednesday. The increase is higher than the last several years since the Affordable Care Act became law, Kreidler said. He attributed that to insurance companies not being sure in the early years who would sign up for coverage and what services would be used. “I do believe this year’s change is a one-time adjustment and that we’ll see premiums level off as insurers gain experience and more people get covered,” he said in a news release announcing the new rates. Washington residents will have a total of 154 plans from 13 different insurance companies, although not all plans will be available throughout the state. A total of 98 plans will be available through the exchange, Washington HealthPlanFinder, which allows families and individuals to shop for health insurance online. The other 56 plans will be sold outside the exchange, and residents who purchase them are not eligible for federal tax breaks under the Affordable Care Act. The average is based on all increases for all of the plans. The highest increases were approved for Group Health Options, at 24.7 percent. The lowest, for Molina, was 7.35 percent. Idaho’s average premium increase for plans through that state’s exchange is 24 percent, the state exchange announced in September. Earlier this week, the federal government announced that nationwide, the average increase in health insurance rates for plans through the federal health care exchange would be about 25 percent. That prompted critics of the new law, also known as Obamacare, to say the act is a failure and should be repealed. “In contrast to much of the country, the Washington individual insurance market is competitive and healthy,” Pam MacEwan, chief executive officer of the Washington exchange, said in a news release announcing the rates for the plans. Under the Affordable Care Act, the exchange offers three levels of coverage: gold, silver and bronze. The 25 percent increase nationally is the average for silver plans. In Washington, the increase for silver plans available through the exchange will average 3.86 percent. For the more comprehensive gold plans the average increase will be 12.78 percent; for the more basic bronze plans, the average will be 5.82 percent. Those plans also will have increases in their deductibles ranging from about 5 percent to about 8.3 percent. Open enrollment through the exchange, when residents can sign up for insurance or switch plans, begins Tuesday and runs through next January. Some people who sign up for plans will be eligible for tax credits to reduce the cost of their monthly premiums. The exchange is primarily used by individuals and families who do not receive health insurance through their jobs. About 45 percent of people in Washington have insurance through an employer. Higher costs have prompted some insurance carriers to leave Washington or cut back their plans. Moda left the state this year and United Health Care will not offer plans to individuals next year. Premera and Lifewise will stop selling plans outside the exchange next year and will reduce the number of counties where they do sell plans. In Spokane County, seven carriers will offer plans through the exchange and three will offer them outside the exchange. For the other four northeastern counties in District 4, the number of carriers offering health care plans will be limited to three or four companies. Published: Oct. 26, 2016, 10:22 a.m.